Smartphone, iPhone apps can be used to turn your mobile or pad into a travelling tour guide offering useful travel information at the touch of a button. Most travellers will find that there is always some information that they desperately need while they’re on the road. Whether it’s the latest exchange rates, the German phrase for “where is the bar” or an idea for good local restaurants in which to eat. Smartphones give the average traveller the opportunity to carry around the knowledge normally found in the local tourist information centre. The inclusion of a few simple applications can give you access to a wealth of travel content that will provide useful information from around the world. Most holidaymakers are looking for information about the local area, assistance with a foreign language or help finding somewhere to stay for the night. These additions to your mobile phone will give you essential information and advice, making your visit a more pleasurable one. 3) oMaps – A great accompaniment to any traveller, 3G rates for connecting can be expensive but you can download maps off-line before you travel. 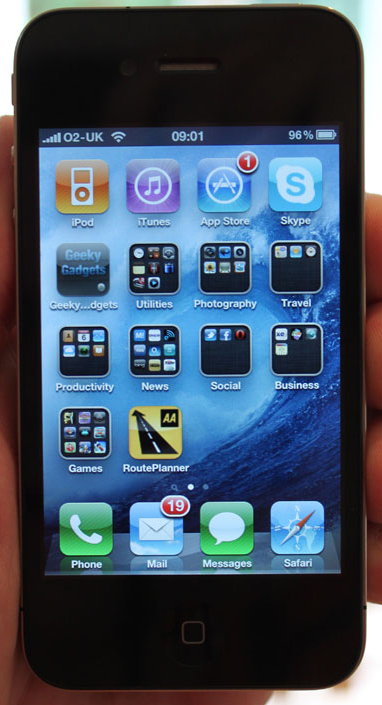 On the iPhone it is the ideal travelling companion. It also provides a list of ATM’s, restaurants, bus stations and local attractions as well. ($1.99) iPhone. 7) XE Currency Converter – The XE Currency Converter allows you to check how much you are paying for things in your home currency and is linked to current market rates so gives you up to the minute exchange rates as well. It has access to 180+ currencies and allows users to customise their choice of currencies to track. (Free) iPhone and android systems. This entry was posted in Top Tips, Travel and tagged advice, events, health, hotel, iPhone, languages, maps, mobile, restaurants. Bookmark the permalink.